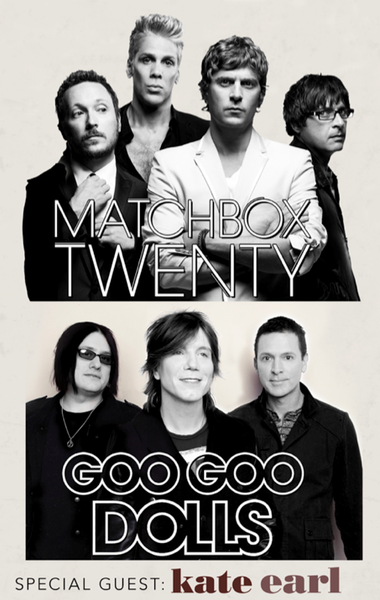 On Tuesday - July 2nd at 10am local venue time - There will be a fan club exclusive pre-sale for a newly announced date on the Matchbox Twenty & Goo Goo Dolls Summer Tour. As always, because you're a fan club member - you get first access to pre-sale tickets. You will need this code to access the pre-sale tickets. Fan club members will receive their pre-sale code via email on Monday 7/1. Make sure you are a member of the Matchbox Twenty fan club by 6pm PT on Monday 7/1 to ensure you get a code in your inbox.